Earthborn Ecopro Silicate Masonry Paint is a long-lasting alternative to conventional coatings and traditional lime-based paints. It’s a highly durable mineral paint, and dries to a classic, matt finish. 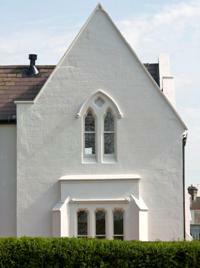 It is especially suited to renovation work on historic and listed buildings. The silicate-based system forms a permanent bond with mineral substrates, so it will enjoy a very long life. The paint can be used on interior and exterior mineral surfaces such as stone, masonry, concrete, pebbledash, plaster, and sound silicate-based paint surfaces. 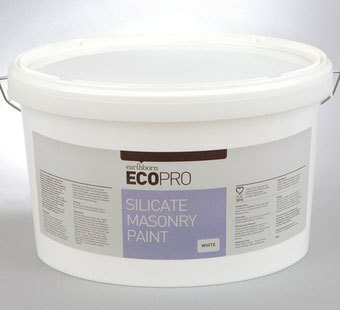 Earthborn Ecopro Silicate Masonry Paint must be applied to a wall stripped of coatings apart from where a sound Silicate paint system has been used. Earthborn Claypaints are great VOC-free paints perfect for interior decorating. When applying the paint, the surface needs to be clean and dry, free of algae and powder, and in a sound condition. 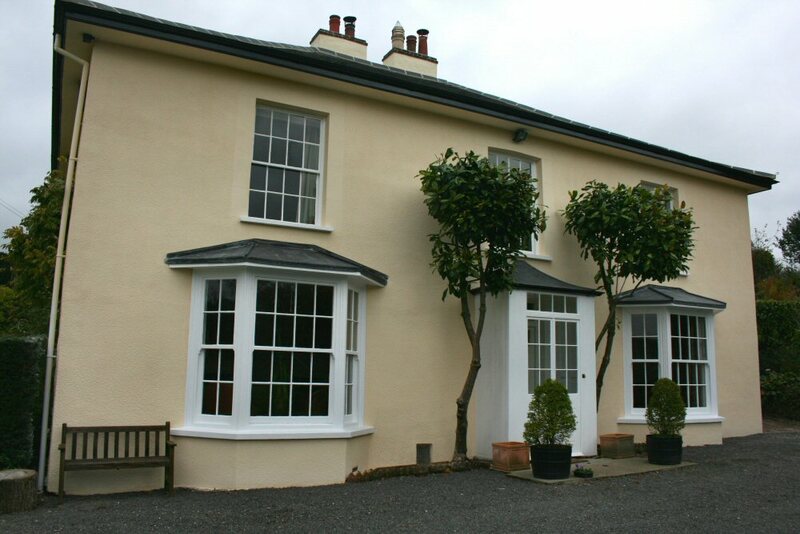 Any unstable or non-mineral coatings such as traditional mineral paint must be removed completely. As limewash, distemper, and whitewash can’t be guaranteed to be in sound condition, these should be removed too. New lime render or plaster will need to be completely cured before painting by around 4 weeks per 5mm. Any surrounding glass, metal, ceramic, or other surfaces need to be protected and to have paint splashes wiped away quickly to avoid any permanent damage. Any surface will need to be primed with a single coat of Earthborn Ecopro Silicate Primer before the paint is used. Stir the paint well before and during use, and apply two coats of Earthborn Ecopro Silicate Masonry Paint, spreading evenly and ensuring a ‘wet edge’ is maintained. Let the first coat dry completely before applying the next coat. Dilute the first coat of paint with 10-20% Earthborn Ecopro Silicate Primer, and never thin the paint with water! Don’t apply the paint in temperatures below 8°C or if low temperatures are expected within a day, and avoid painting if the substrate temperature is below 8°C. Don’t apply the paint in direct sunlight. In normal conditions, the paint should be touch-dry in 1-2 hours and you should leave 6-12 hours between coats. Depending on the porosity of the substrate, you should achieve 5-7 square metres of coverage per litre on a smooth surface. Top Tip: Wrap your brushes in cling film inbetween coats to protect them from drying out. When finished simply wash with hot soapy water. Keep your paint cans sealed and stored in a cool, dry place free of frost. Don’t empty the unneeded paint into drains or water courses – see what your local authority’s advice is on paint disposal. Top Tip: Use swap shop sites to see if someone local can put the paint to a better use! Clean your painting tools with water, using a tub of still water rather than a running tap to avoid water wastage.Top Tip: Scrape rollers so any excess paint falls back into the paint tub (Rather than being washed down the plug hole). Earthborn Ecopro Silicate Masonry Paint is corrosive and should be kept out of the reach of children. Always wear eye and skin protection, and if your skin comes into contact with the paint, rinse with plenty of clean water. Make sure that where you are painting is well-ventilated. Water, stabilised potassium silicate, kaolin, calcium carbonate, styrene stabiliser, ammonium salt, titanium dioxide, celluloses, common salt (sodium chloride). This product is very low in VOCs (volatile organic compounds). The EU limit for this product (Cat C/Wb) is 40g/L (2010). This product contains less than 0.5g/L.